Famous around the globe for its beautiful beaches, rich history, and diverse culture, Honolulu is one of the most incredible destinations in the United States.The capital city sits on Oahu, one of the eight Hawaiian islands. Often associated with the tourism industry, Honolulu draws in nearly nine million visitors annually. With a metro population of close to one million people, this thriving metropolis is also an epicenter of international business. Many well-known corporations are headquartered here, including Hawaiian Airlines and the Bank of Hawaii. The state's government is also seated in Honolulu. Furthermore, thanks to its location in the North Pacific, Honolulu is a hub of shipping and military activity. Hawaii became the 50th state in 1959, but the history of this sensational group of islands goes back several centuries. From the arrival of the first Polynesian migrants to the overthrowing of the monarchy and subsequent annexation by the United States, Honolulu has undergone numerous evolutions as part of the Hawaiian islands. Today, Honolulu offers residents unparalleled quality of life, with world class cultural institutions, shopping destinations, and entertainment venues scattered across the city. Honolulu is broken into several different neighborhoods and districts. Some of the best known areas of the capital city include Waikīkī, Kakaʻako, and the Arts District. The city is home to a large number of servicemen and women, with multiple military installations on the island of Oahu. This city also attracts a large student population, thanks to the presence of schools like the University of Hawaii at Manoa and Hawaii Pacific University. 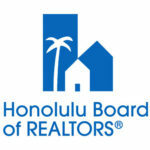 Housing prices in Honolulu are among the highest in the nation, thanks to high demand and a limited supply. 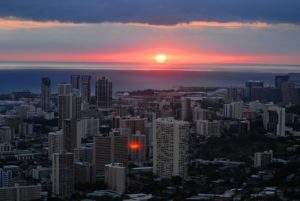 Not only are Honolulu rentals the second most expensive in the United States, but the city is also one of the most densely populated. 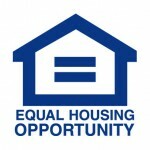 According to research conducted by the Department of Business, Economic Development & Tourism, housing demand will continue growing in the next decade. 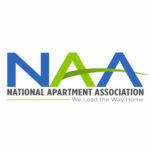 Naturally, this makes Honolulu apartments and rental homes attractive investment opportunities. Of course, turning a profit in an Oahu rental is no small feat. 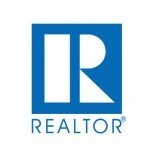 Managing the needs of a rental home can quickly become a full-time job, which is why many property owners turn to a professional property manager in Honolulu. If you're on the hunt for the right property managers, why not consider HappyDoors? 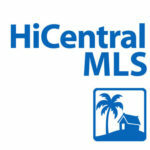 Our team of local experts has been partnering with Hawaii investors for over a decade and we know what it takes to get great results. 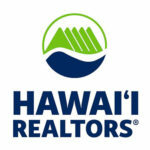 We monitor the ups and downs of Honolulu's real estate market, and we continually make suggestions for improving your profitability. 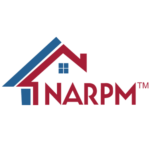 Call us today to schedule a free rental analysis and learn how we can help you maximize the value of your property.